Vivian Orlando is a litigator who handles a diverse range of business, insurance and investment-related litigation issues. Ms. Orlando has litigated and advised clients on pre-litigation matters, post-litigation matters and general business litigation in hundreds of cases in both state and federal courts. She focuses her practice in the areas of healthcare, unfair competition, insurance bad faith, coverage disputes, STOLI and IOLI claims, ERISA, insurance-related investment products, customer complaints, franchise/general business matters, class actions and other complex litigation. Ms. Orlando also handles matters on behalf of businesses and insurance companies relating to illegal and improper conduct of agents, producers, employees and/or officers, and also has a state and federal appellate practice. 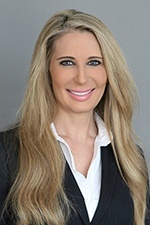 Ms. Orlando joined Hinshaw & Culbertson LLP in October 2014 as a result of the merger of Hinshaw and the Los Angeles-based firm of Barger & Wolen LLP. Successfully representing California health insurer and health plan in obtaining summary judgment relating to rescission of a health insurance policy/health plan for material misrepresentations and omissions on the health insurance application. Part of trial-team counsel representing California health care service plan in obtaining directed verdict at trial in rescission matter. Part of trial-team counsel representing California health insurer in obtaining nonsuit at trial in rescission matter. Successfully defending insurers in STOLI and IOLI cases from claims of fraud and other consumer violations. Successfully prosecuting matters on behalf of life insurance companies and other entities and individuals. Litigation on behalf of life insurers for claims alleging improper sales of annuities and violation of statutory or regulatory laws. Defeating class certification and/or liability on behalf of life and health companies sued for breach of contract, insurance bad faith, fraud, unfair business practices and other violations of California law. Successfully defending insurance companies and welfare benefit plans in claims for ERISA benefits. Successfully defending life, health and disability insurers in breach of contract, bad faith, fraud and/or unfair competition actions, including securing dismissals on motions to dismiss/demurrer and summary judgment.